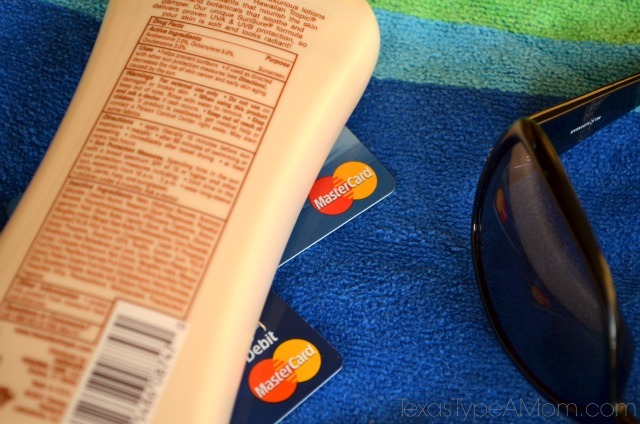 I recently returned from a family vacation and would love share with you in this sponsored post about how I used my MasterCard to cover purchases because it’s accepted everywhere. And acceptance matters. Whenever we travel, the entire family goes with us. Obviously for most families that means the parents and the kids, well, for us that means the dog too. Since we became parents, we’ve been spending Mother’s Day each year in Florida. 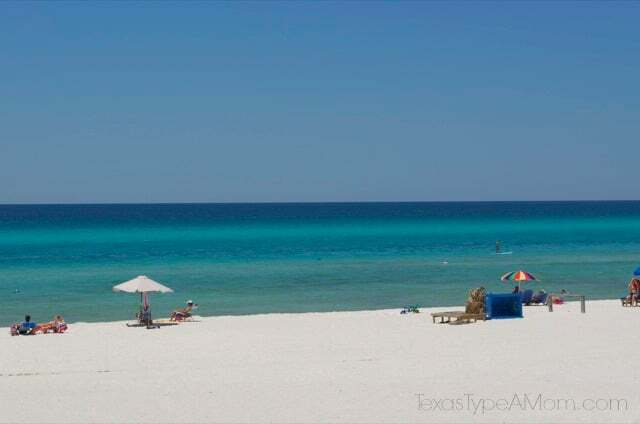 It’s a great way to spend time together as a family at the beach and since we go down at Mother’s Day we can spend the day with my 85-year old grandmother as well. Because of our preferences for an ocean front rental and traveling with a large dog, planning is a little more complicated than it might be otherwise and requires more research and forethought. We’ve never stayed in the same rental unit more than once because rates and dog policies seem to change from year to year. We’ve had issues with our bank accounts being compromised in the past so as often as we can we try to find businesses that will honor credit cards instead of checks since we’re so leery or paying with that method. This year, we found a rental that fit the bill to a tee and would accept our deposit and payment via MasterCard so we could ensure we were “safe” and our information wasn’t compromised. Even before our recent identity theft issues, we’ve never been big on carrying cash. We like knowing where all of our money is spent and that our bank accounts are protected. During our trip, we had lots of fun eating out and making sure to enjoy every moment together as a family. Most of the time things went as planned, but it’s usually the negative amongst the mostly positive that stand out in your mind. 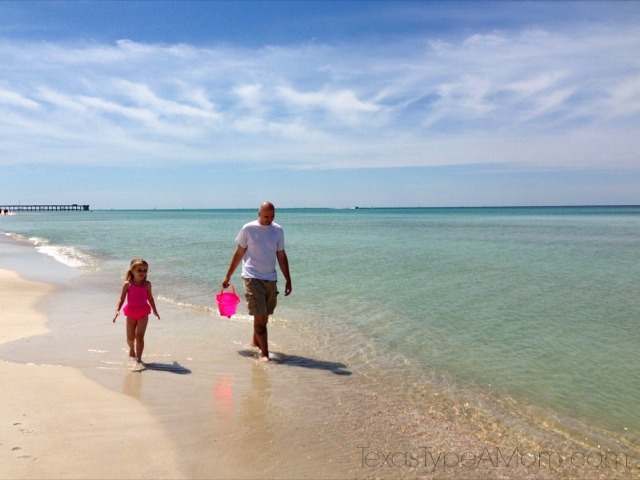 When traveling with kids, one of the big tips I can give is to try and stick to your usual schedule at home as much as possible while you’re away. You can obviously be flexible, but trying to loosely base your schedule will make everyone’e life much easier. On our vacation, one of our outings was to the state park. We planned our trip for early in the day, before the crowds, before the sun was too intense, and before nap time to ensure solid sleep when we returned. We pulled up to the gate and my husband attempted paying with his American Express card. The attendant took one look at the card and handed it back to him explaining it wasn’t accepted. We were hoping to stay on schedule and avoid a possible trip to the ATM several miles down the road to pay for our entrance fees, so I pulled out my usual card for purchases – MasterCard. Without much of a glance, our card was swiped, and we were on our way. But this wasn’t our only brush with stress this trip and our schedule potentially being thwarted. We went to Sam’s Club to get gas since it was so much cheaper than other stations and some snacks for the drive home. After our issue at the state park, I became vigilant in noticing signs regarding payment wherever we went. I was shocked to see the signs at Sam’s Club gas station which indicated no cash and then inside which excluded other cards we had but accepted MasterCard. Fortunately, two embarrassing situations were averted because we had more than one method of payment on hand. I’ve learned that MasterCard is accepted everywhere and acceptance matters. Have you ever been embarrassed because of a credit card rejection? We always take our Mastercard with us when we travel after an incident we had when visiting San Francisco (taxi driver copied our number and charged up a TON!). Less hassle and tons of protection! I am finding more and more companies are preferring MC to the other credit cards. I have had my card rejected before. It is embarrassing, but more annoying once you call the company and it’s approved. Usually things seem to happen when they are for big purchases and they are trying to protect their customers. But, yes, still embarrassing. We have a Mastercard & honestly I have never found a place that does not accept them. That looks like a great trip. What a beautiful beach. 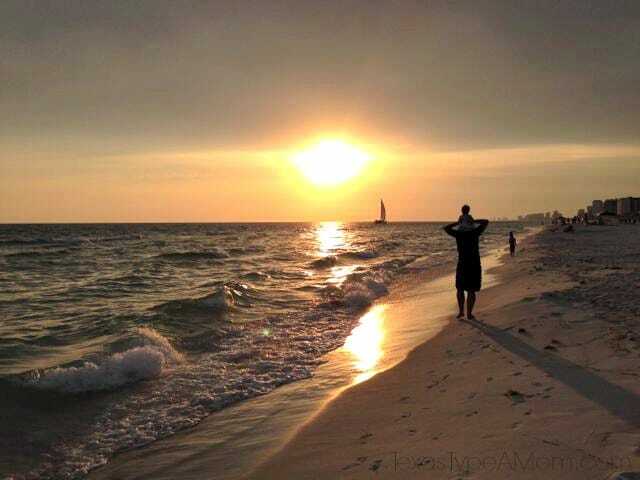 I love your pictures, looks like a great vacation! 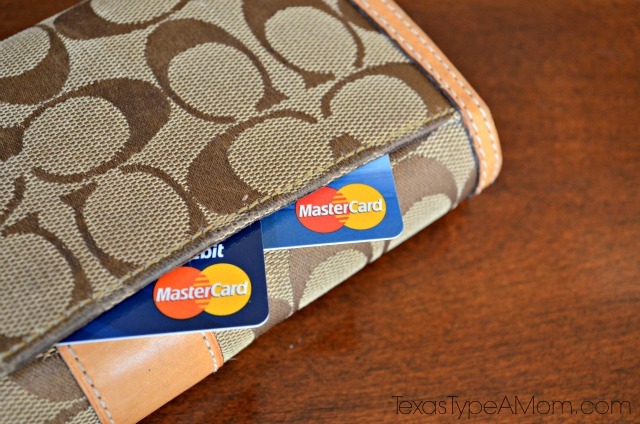 Mastercard does make it easier, no worries about carrying around cash! I use my credit card on vacations too! No worrying about cash getting lost or stolen. I agree, it is nice traveling with my MasterCard. It does seem to be accepted everywhere and it much safer than cash. Oh my goodness, your photos are absolutely stunning! It looks like a fun trip and good thing you had your MasterCard so that you could continue on schedule! I’ve totally had my visa (even debit!) denied while traveling before. Good to know Mastercard works better for travels! we normally use MC as our backup but when our discover card was compromised 4 hours into a week long disney trip i can’t even tell you how happy i was to have it with us!! Yes, I have! My cc expired and I didn’t realize it and I was at the grocery store. Oh so embarrassing! I don’t even have a mastercard…..eek. My debit card is a visa & my hubby’s credit card is also a visa I believe. I hate it when there’s a technical glitch and my card doesn’t work. My bank just changed owners and I had gotten a new debit card that wasn’t supposed to be active yet, but I took both with me to the store just in case because I didn’t want any issues, LOL. Glad you avoided any problems and looks like you had a lovely trip! You have me wanting to go on vacation now–what beautiful pictures! You’re right, it’s definitely best not to carry around a lot of cash when you’re traveling. It’s true that it’s not accepted everywhere and it’s so frustrating! I prefer having the M/C as well, for that reason! I have never encountered a place where my MasterCard was not accepted! We used it to travel to London and it was so convenient and accepted everywhere. So much easier than having to worry about converting to EURO and carrying cash. Your trip looked great – gorgeous pictures! I honestly don’t know why AE is used, it really isn’t accepted many places. I have 3 Mastercards:) Looks like a beautiful trip to Florida. 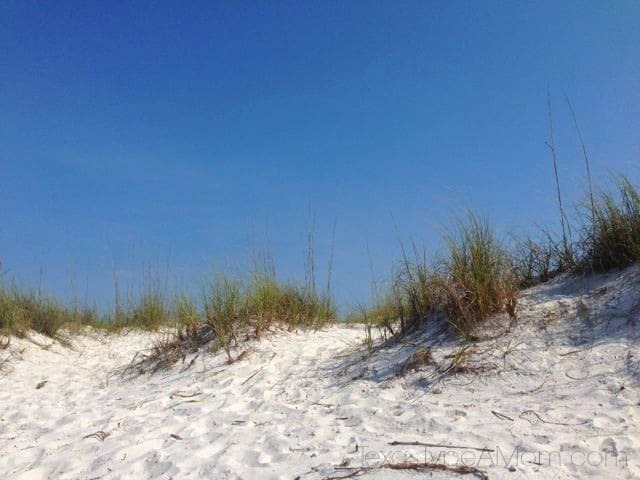 Loved your vacation pictures….. thanks for sharing. I also have a MasterCard that I take everywhere and never been turned down. Your pictures are amazing and makes me want to get away! I use my credit cards everywhere. I have never had rejection, but I have had the number stolen (while I still had the card). They were very quick to help me and I wasn’t responsible for any fraudulent charges! I always carry my Master Card with me! What part of FL did you stay in? We’ve been down to Perdido Key 7 times now. It is on the border of FL and AL. We do generally stay in the same condo because it is convenient with private elevators and underground parking. My husband always negotiates down the rate we find on vrbo. Ack, yes! (*blush*) but it was always straightened out…your photos are phenomenal! I no longer have a credit card (they’re evil, lol), so no. Great pictures! We too are big Master Card fans. I like knowing we can use it anywhere. I love my Mastercard. I travel with enough cash for tipping and the rest goes on my card. I wouldn’t have it any other way. I have a couple of Mastercards and have no regrets! We make sure we have a Master Card because of Sam’s Club! I love that our Master Card is through UPromise, so we get money for Nick’s college fund as we use it. Wow, breath taking photos. Happy That you were able to have a smooth family vacation with Mastercard. Makes sense to have one! I know when we go on vacations in the Summer, even though they are just day trips I always feel like if we had a credit card like this for emergencies or things that come up that things would run a lot smoother! It’s always great to have a few payment methods on hand. Looks like a wonderful vacation! We currently have no credit cards, but my debit card is also a Visa. You have to let the Florida bloggers know when you are in town.